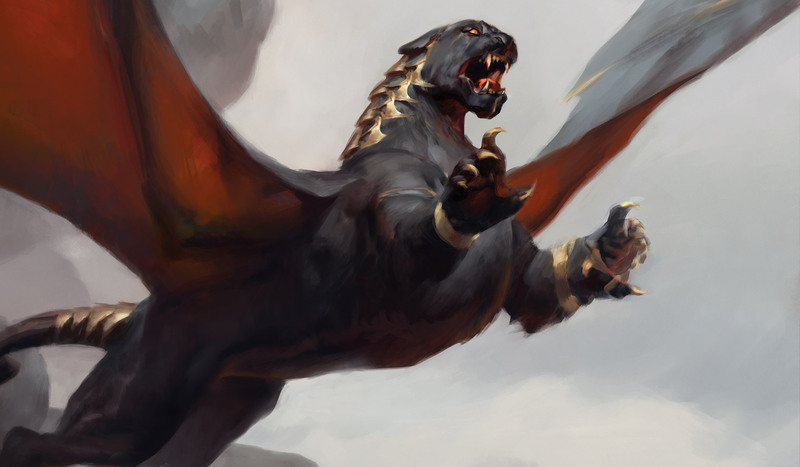 The dragon Ramos is revered by the Cho-Arrim people of Mercadia as divine, but in truth it is an animated automaton that once served the warlord Mishra during the Brothers' War on Dominaria. 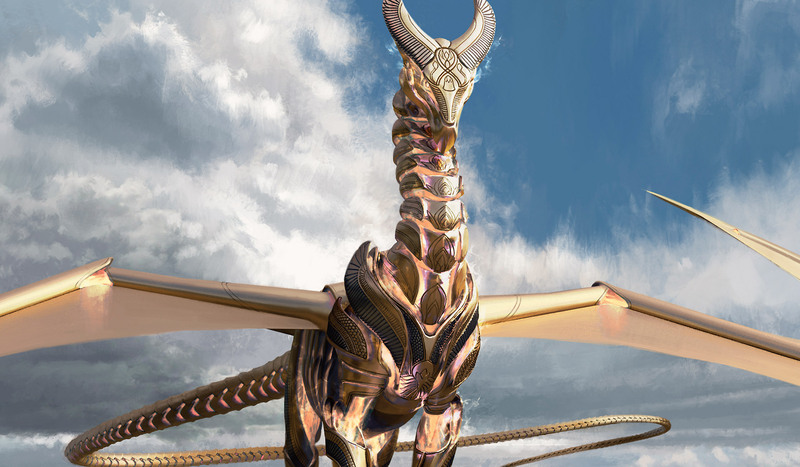 Later, Urza reprogrammed the dragon engine as a protector. A solitary leonin warrior, Balan loves the thrill of being the wandering hero. She'll pounce into battle to defend the innocent or slay an evil beast. She has many a tale of adventure, and will happily share them if there's a crackling fire and warm drink involved. 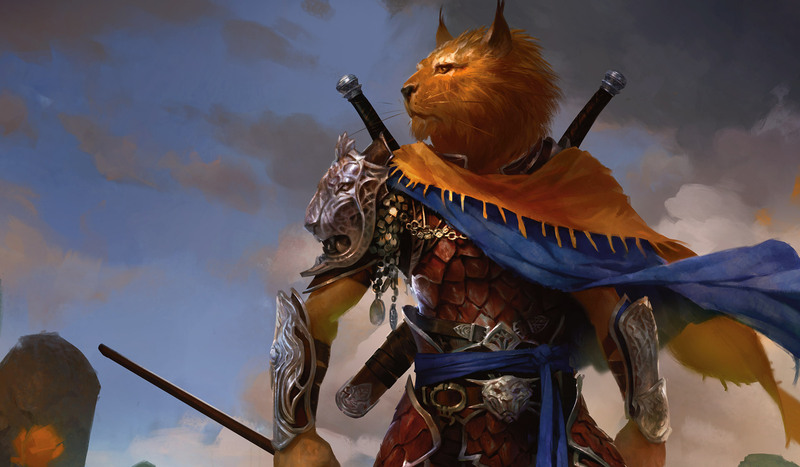 Like a lion's roar thunders across the savannah, Arahbo's voice resounds through the Multiverse, stirring the hearts of every cat and awakening their spirits to his call. A primordial being, Arahbo represents the ideal feline: clever, perceptive, assertive, poised, and a vicious hunter. 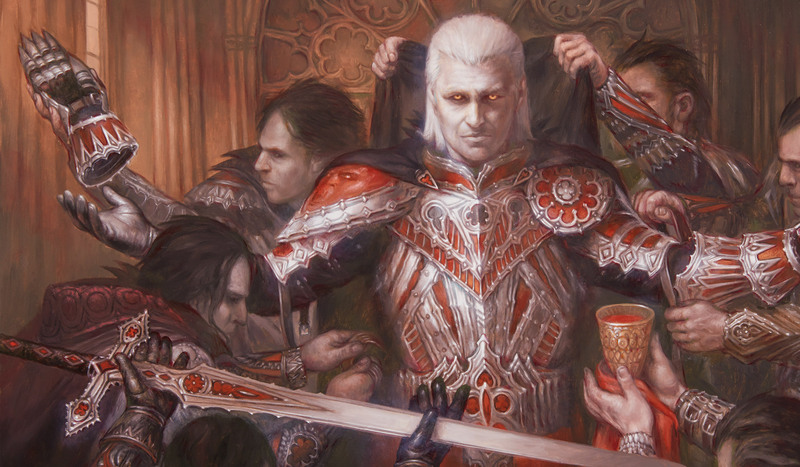 Thousands of years ago, Edgar Markov was an alchemist seeking immortality for himself and his grandson, Sorin. Encouraged by a demon, Edgar performed a dark ritual, feeding on the blood of other beings, and thus was transformed into an immortal vampire. 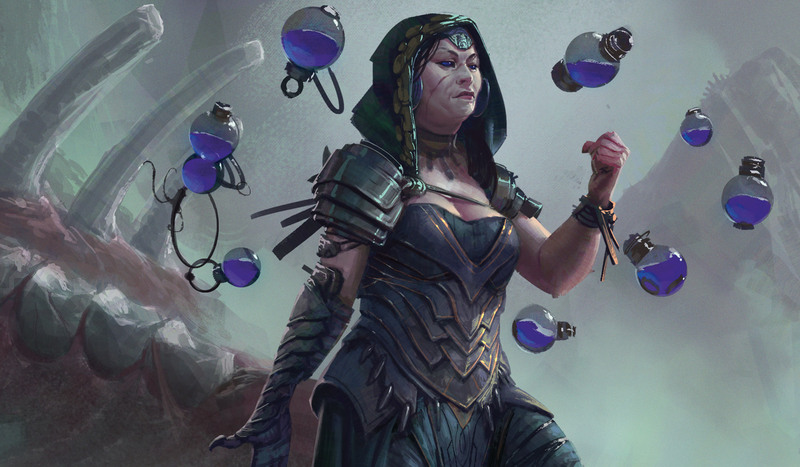 Inalla is a masterful wizard whose quest for power led her to probe the depths of the darkest sorcery. 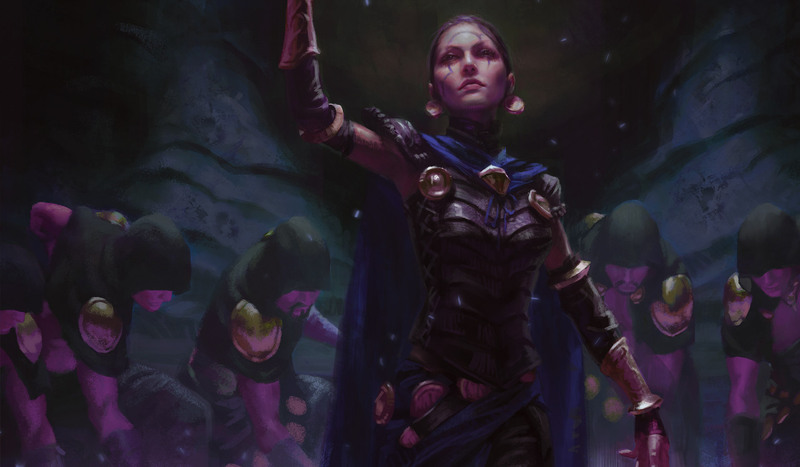 She concealed her arcane practice from the elders of her conclave, impressing them with her talent and working her way up to the position of archmage. Kess's home is one of the few pockets of life remaining on the devastated shard-world of Grixis. She harvests vis, a magical substance that holds small bits of precious life energy, in hopes that she can one day use it to restore what was lost. Licia is an army general renowned for her ruthlessness in battle. 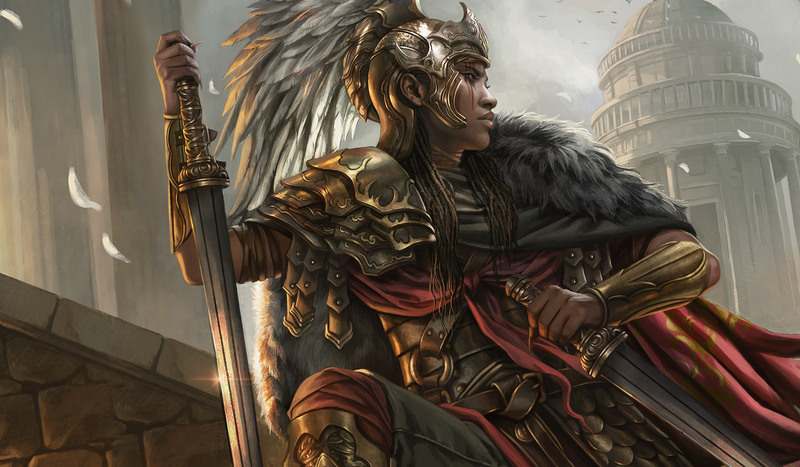 She wields dual swords stained with the blood of countless victims, including the enchanted blood of an angel, whose feathers Licia wears in her helmet as a symbol of her supremacy. 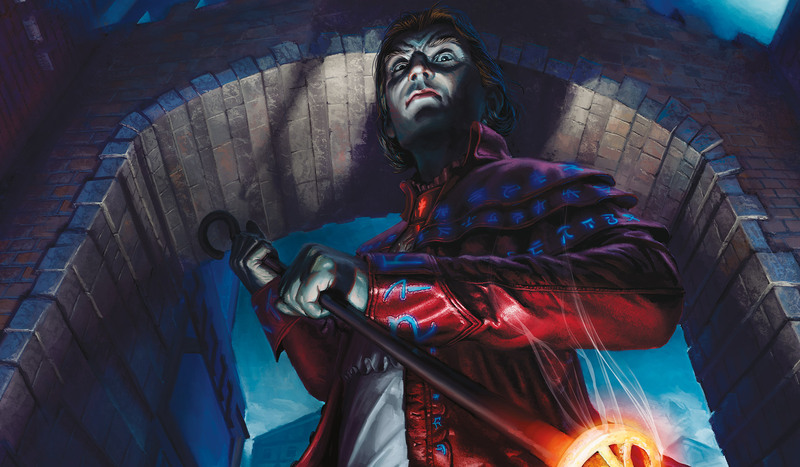 As a member of the Conclave of Mages on Dominaria, Mairsil used forbidden magic to betray the archmage, Lord Ith, by imprisoning him in an enchanted cage. 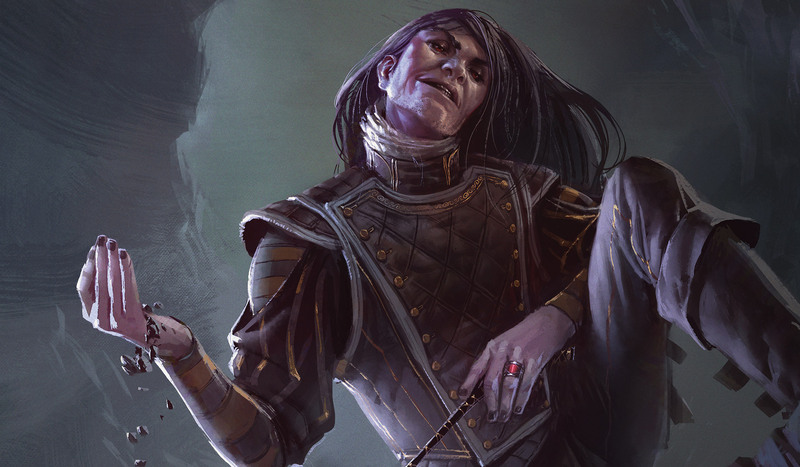 Mairsil installed himself as the First Among the Equals and imbued his life force into a magical ring. Mathas is both a vampire and a vampire hunter. His desire to be the only one of his kind drives him to betray his brethren. He hunts his fellow vampires and brands them with a powerful holy symbol, condemning them to death. The cat warrior Mirri was exiled from her tribe because they believed her mismatched eyes would bring them bad fortune. 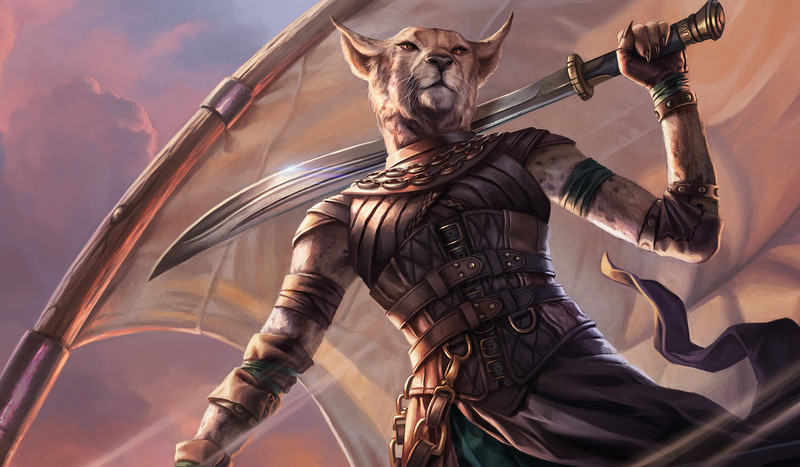 She grew up in Llanowar and traveled with the soldier Gerrard Capashen, becoming his most trusted friend and a dedicated crewmember aboard the skyship Weatherlight. 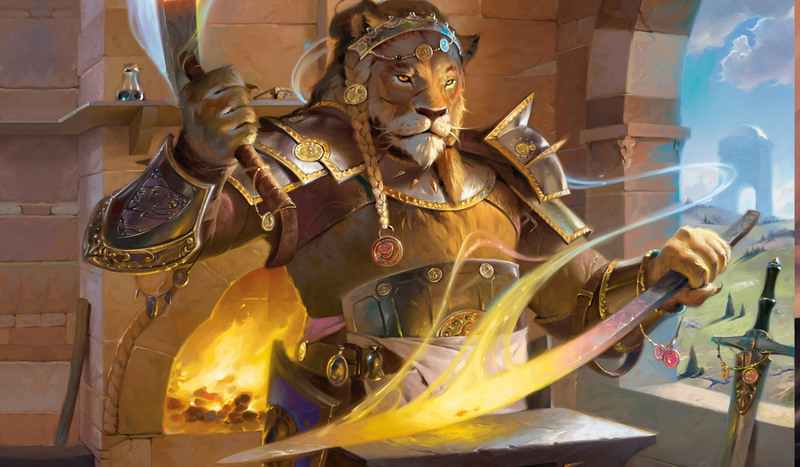 A leonin from Naya, Nazahn was once an ordinary blacksmith, but his life changed when the Conflux merged his home with the shard of Bant. He found fame as a renowned weaponsmith and now wields a magical hammer of invincibility that allows him to hold hot, fiery metal. O-Kagachi, an immense dragon with eyes that blaze like the stars, was the greatest of Kamigawa's guardian spirits, the kami. But when the veil between the spirit and material worlds was weakened, O-Kagachi's divinity was stolen by Lord Konda. Thus began the twenty-year Kami War. 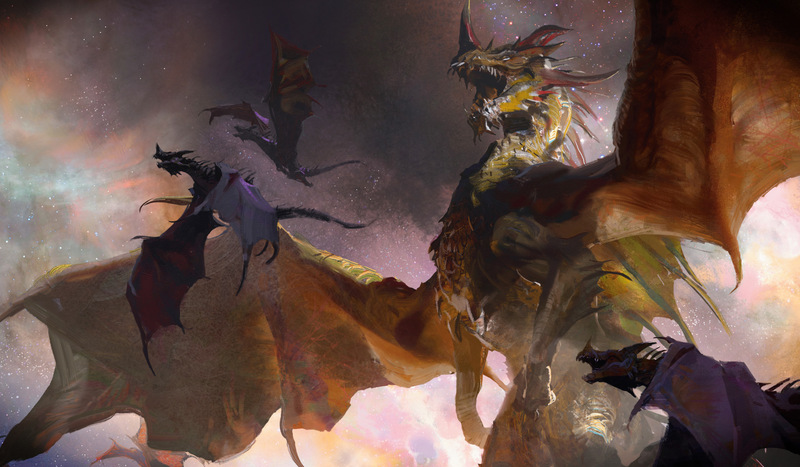 On the plane of Tarkir, five broods of dragons spawn from magical tempests. 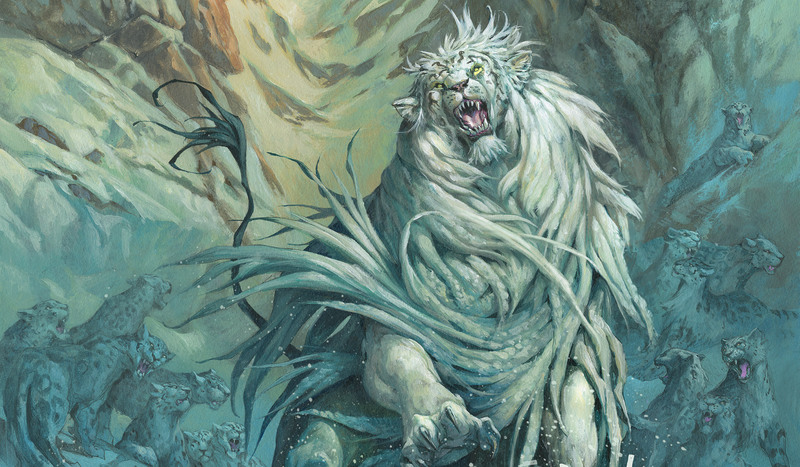 Cunning and devious, Ojutai's brood glides silently through cold mountain peaks, freezing prey with their icy breath. 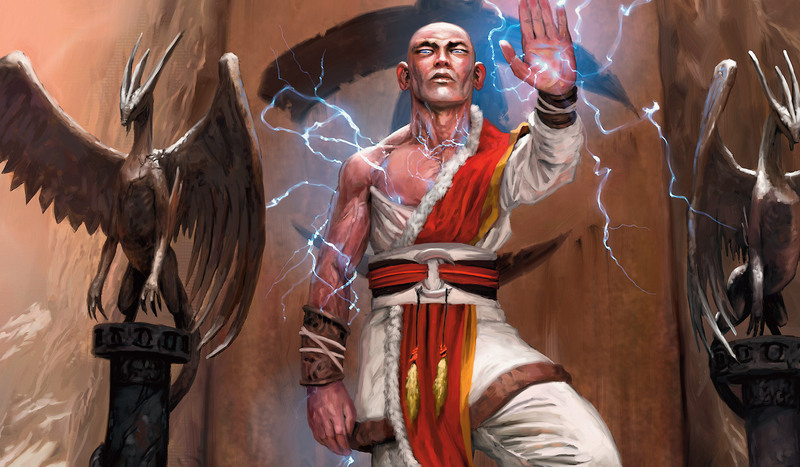 Each of these dragonlords leads a clan of devoted humanoids, such as the staid, reverent monk Taigam of the Ojutai clan. 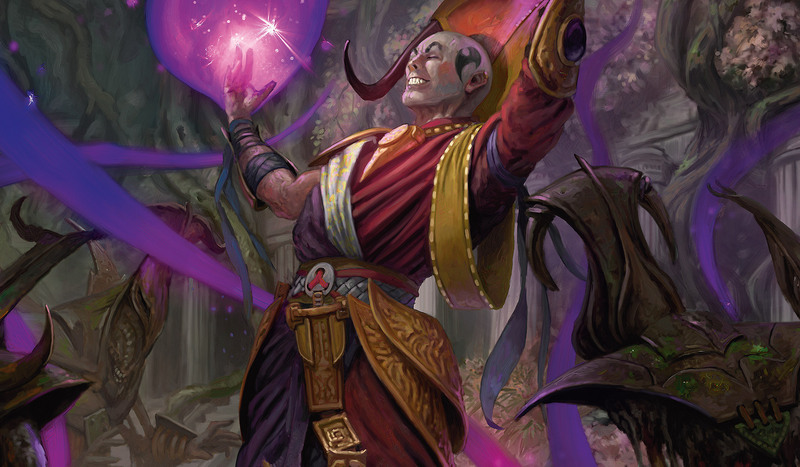 In one timeline on the world of Tarkir, Taigam is a dark wizard who betrayed his clan, defecting to the Sultai where he's working his way up the ranks, ruthlessly seeking power to fulfill his selfish ambition. 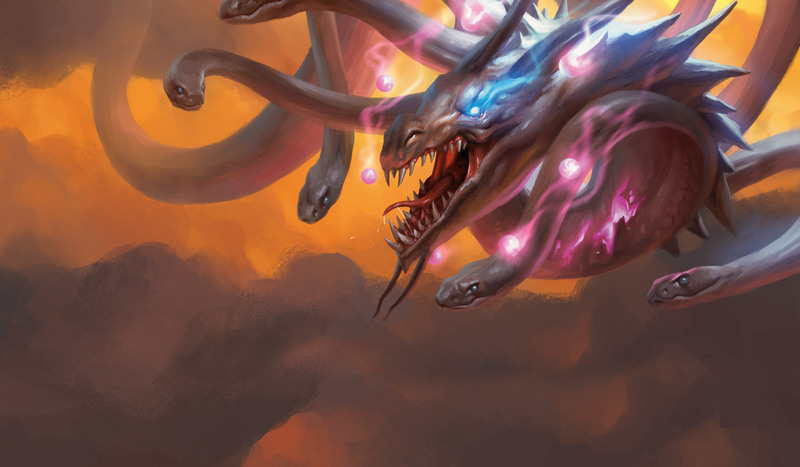 An immensely powerful entity from the dawn of time, the Ur-Dragon is a prevailing force in the Multiverse. 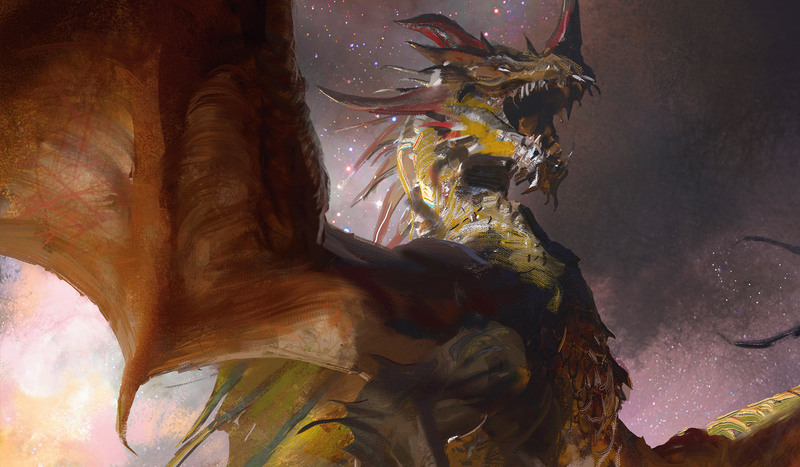 Its bellowing roar summons its brood, echoing through the blood of all dragonkind, for the Ur-Dragon is the progenitor from which the dragons of the Multiverse spawned. The regal and clever Wasitora reigns as the self-appointed queen of the nekoru cat-dragons of Madara. After reaching an agreement with Madara's Imperial Champion, Tetsuo Umezawa, she became the defender of the village of Sekana, in exchange for payment in delicious fish.